The company known as Iron Bit is releasing a brand new sci-fi MMORPG to the market called, Colonies Online. The MMO gives gamers another take at deep space exploration by incorporating elements of sandbox gameplay. It’s not clear how much customization there will be in this online game. Despite promising to mix sandbox elements into the online universe, the game’s philosophy has been openly stated allowing ?Everything in the game is created by players themselves.” In-game items are all created by players though the games crafting system, in fact. Instead of gaining levels by merely defeating enemies, players will progress as the obtain professions and build their skill tree. The specific customization and evolution of individual characters does wonders for PvP in this game too. Certain battles can even hold up to 100 participants at once. You’ll need to act quick in such a massive universe. 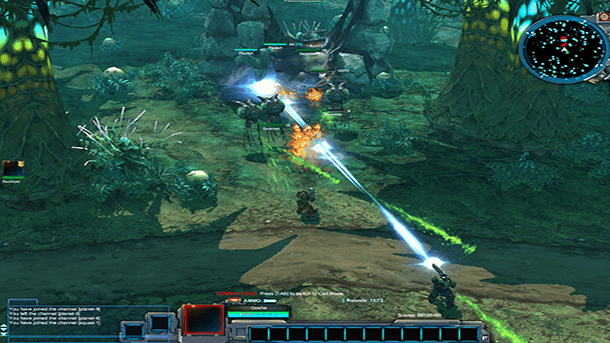 Players will constantly be at work as multiple characters build colonies and expand their territories across many planets. Players won’t just use planets for skill improvements. The terrestrial dwarfs and giants actually allow free construction over most of the planets surfaces. When your MMO adventures involve alien planets, deep space exploration, and large scale battles; you can be sure there’s going to be one heck of a sci-fi experience.